Looking for the perfect gaming PC build for your $700 to $800 budget? Here's a look at an AMD and Intel build with all of the right parts. Finding the right parts to use with a $750 budget will get you the 1080p ultra gaming machine you're looking for. To help you along the way we've put together two builds at this price point using Intel's Coffee Lake i5 processor along with a Ryzen 5 option from AMD. There are benefits to both builds, which we'll get into in a minute, but overall we think you'll like both. They're capable of 60 FPS and more in even today's most demanding titles. Here's a look at the R5 1600 along with the 1600X. As it's very similar to the 1600 we recommend going with the less expensive R5 1600 and overclocking it to get the same performance. For the $750 build, we've got around a $200 budget for the processor. So we're looking at the six core Coffee Lake Intel i5-8400 and the Ryzen 5 1600 here. The Ryzen 5 1600 is a 6 core 12 thread overclockable processor while the i5-7500 has 6 cores, no hyperthreading, and can't be overclocked. That being said the i5-8400 has faster IPC overall. 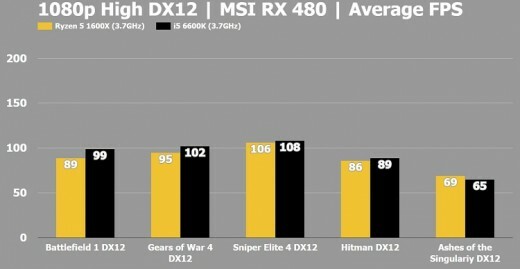 So, in terms of pure gaming performance, even though it has fewer threads, the i5-8400 is the better overall performer. That being said, the Ryzen R5 1600 performs admirably in games that can take advantage of the additional threads. In addition, it's performance is superior in many other tasks you may find yourself doing on a daily basis. If you do go with the Ryzen R5 1600, you'll definitely want to overclock it and get some decently fast DDR4 memory. The performance improvements that come with it are substantial. 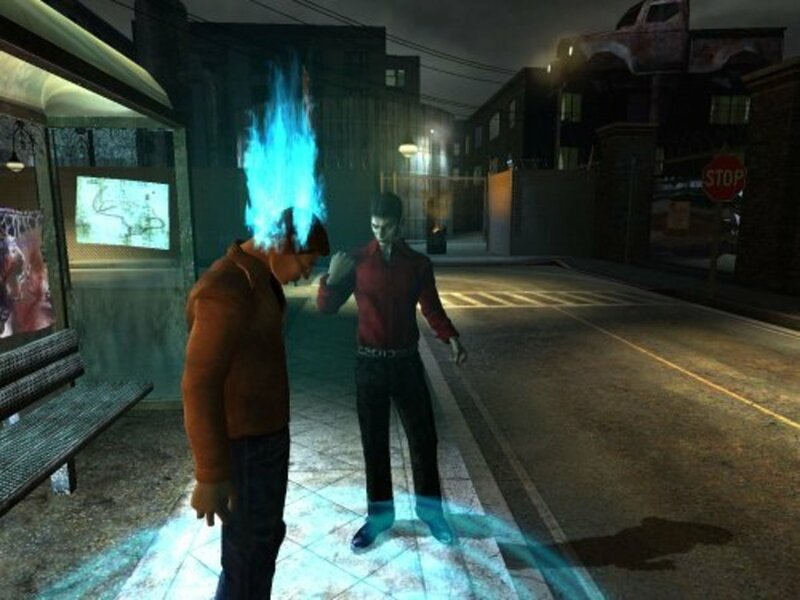 Below, you can see the type of difference that you can expect in a variety of games. Most of it is minimal with a card like the RX 480, 580, or GTX 1060. Think you can save some money with a Skylake or Kaby Lake Processor? Here's how it would compare with a current Ryzen processor. The GTX 1060 gets my pick as the best performer in the $250 price range. Go with the RX 580 if you plan on doing a dual card configuration at some point. If you're looking in this price range, then most likely you're going for one of these three graphics cards. Without getting into too much detail, the GTX 1060 6GB is the better performer overall in DirectX11 games and similar in DirectX 12 games. That being said you can't use an SLI configuration of the 1060 and the RX 480 has similar performance. 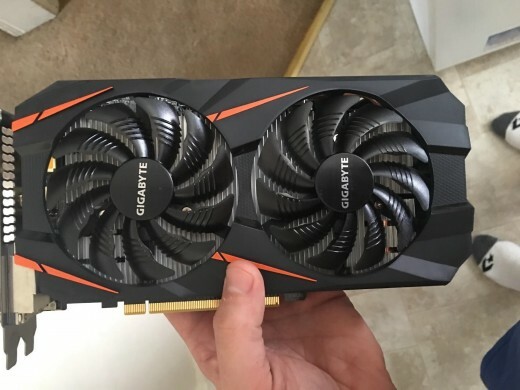 For a good value purchase, you could also consider a used GTX 970. I've seen them for as low as $180 used and it is very similar in performance to the RX 480 and GTX 1060. 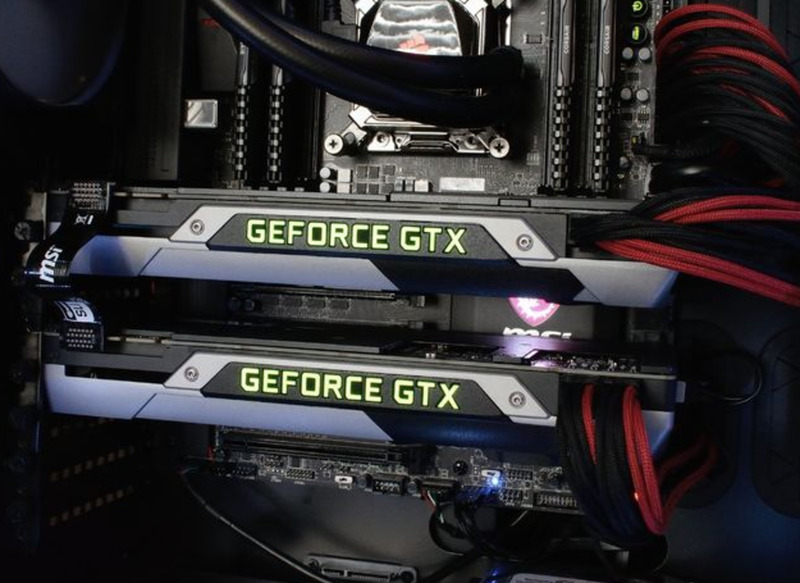 For more thoughts, here's a good discussion of the best graphics cards under $200. 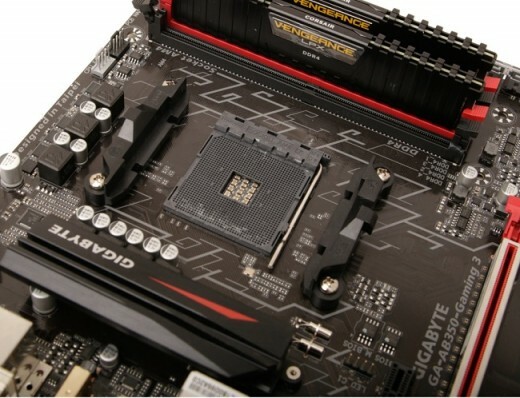 The AM4 B350 chipset is a fantastic option for those on a budget who still want to overclock. It has nearly all the features and performance for less money. Intel Kaby Lake and Ryzen processors aren't compatible. So, we'll give you two options here that we really like at the around $100 price point. For the $750 Intel Build, we're going with the Asus Z370-P motherboard. As this is not an overclockable CPU you could certainly go with something cheaper. However, this board is still inexpensive and budget options for Coffee Lake won't come until 2018. For the Ryzen build we're going with an inexpensive B350 motherboard in the Gigabyte GA-AB350 Gaming 3. I've written about the best AM4 X370 motherboards here; however, I really don't think you need to spend that much. Instead, get a motherboard like this, and try to use your wraith cooler to get you to 3.7 or 3.8GHz. While i don't really like to spend more money than is necessary on components that will have a minimal impact on gaming performance, I think it's that you go with a power supply that will last you a long time. A tier 1 power supply in the EVGA SuperNova will keep your expensive components safe and be useful in future builds to come. In addition, it'll be more power efficient as well. Speaking of power, this build shouldn't use more than 300 Watts. Over the past few years power requirements for computers continue to decline. I see this as a good thing. So, ultimately even if you plan on expanding you're not going to need a huge power supply. Even with these lower requirements we're going with a 550W power supply. This is mainly because it's one of the better quality and cheaper gold rated power supplies available. It'll also gives you just about the right room for expansion. For the 550W model you'll pay between $70 and $90 so look for sales and rebates. 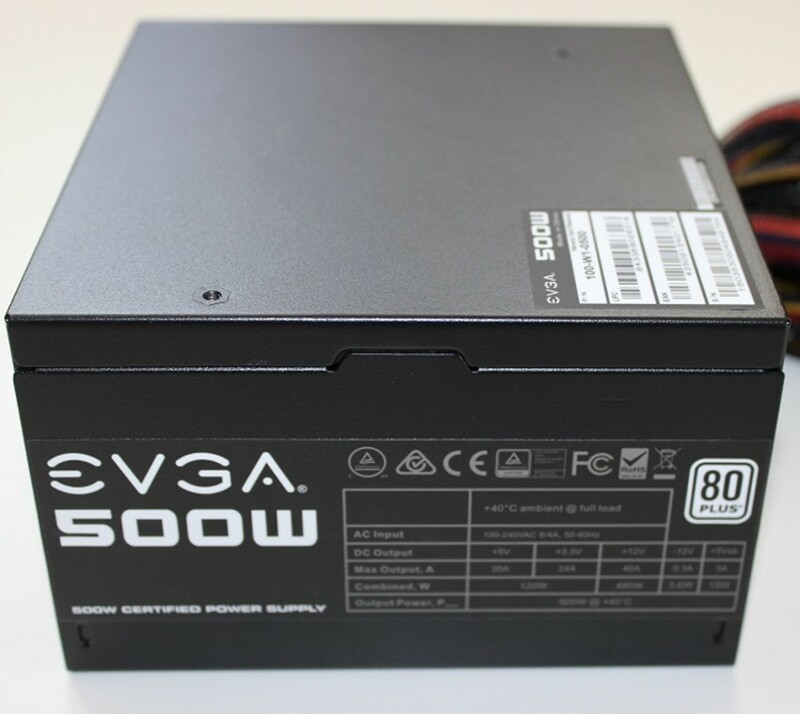 If you want to go cheap here, try your hand at EVGA's 430W Bronze Certified Power supply. I've been able to find them as low as $25 after rebate recently. I use these power supplies regularly on budget builds. They aren't as good of quality, but ultimately they should do the job for a few years. At this price point I really like the Corsair Carbide 200R as a good $50 case. It's available in a standard version for around $50 and a windowed for just around $60. The Carbide 200R has a lot of features you'll find in cases twice it's price and it's sturdy and easy to build with. Of course, there are certainly other options you can go with here, this is just the one I prefer. 8GB is enough for our PC build and going with 16 will stretch our budget. Ryzen performs well with fast ram and especially ram that posts correctly and simply works right. For that reason, I'd recommend G. Skill Ripjaws V series 3200MHz memory. We can go with something cheap and fast here and it won't make much of a difference in game. 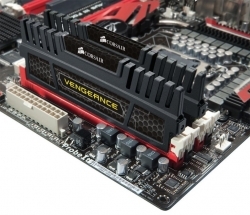 So, the Corsair Vengeance LPX 8GB DDR4-2666 works great. You could get a 2TB Hitachi Deskstar Hard drive for this build or a 240GB solid state drive. Both cost around $60. I'll leave the decision up to you; however, I personally wouldn't build any gaming rig in 2018 without a solid state drive. It's just too much speed to pass up. For additional capacity, consider moving an older hard drive or using an external drive for excess files. 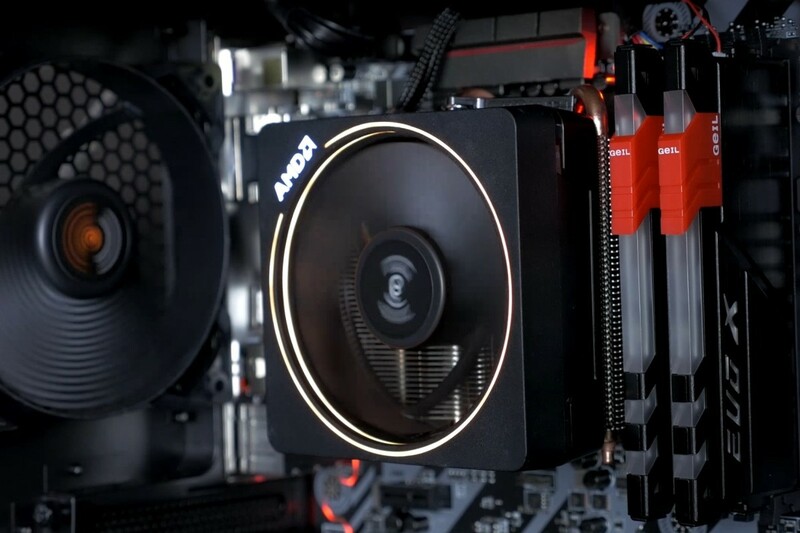 Ultimately you want to build a gaming PC that not only plays the latest games but also has long-term sustainability and the functionality you need in a PC. I feel like we've achieved that with this build but would love to hear your thoughts and questions on the matter. Please feel free to use the comment section below as an open forum for discussion. 60 FPS Good Enough? Not for Many Gamers. I see a lot of sites talking about how you want to get your game to an FPS of 60 to play. Ultimately, my personal opinion is the more FPS the better. I try to aim above 100 when it comes to shooters or RTS games and if I can't on high resolution settings I usually will sacrifice a bit of eye candy in order to get what I feel is a bigger competitive advantage. 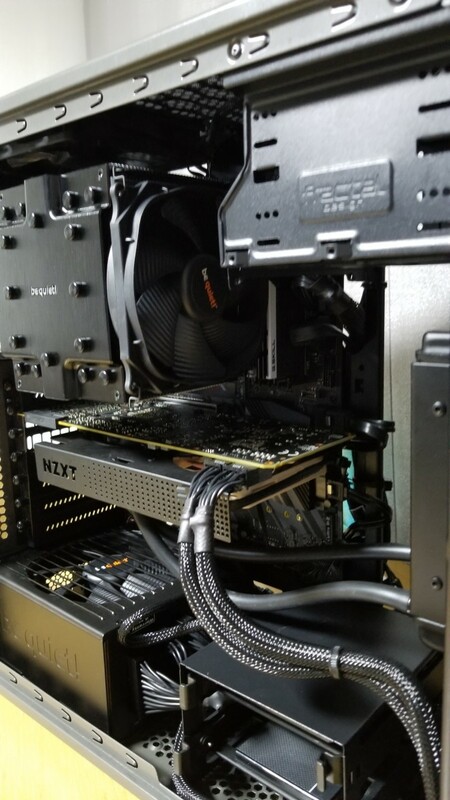 *To get the most performance out of your build, allocate just about 60% of your overall budget to our CPU and Graphics card. Looking for a good $500 Gaming PC? Why not build your own computer? 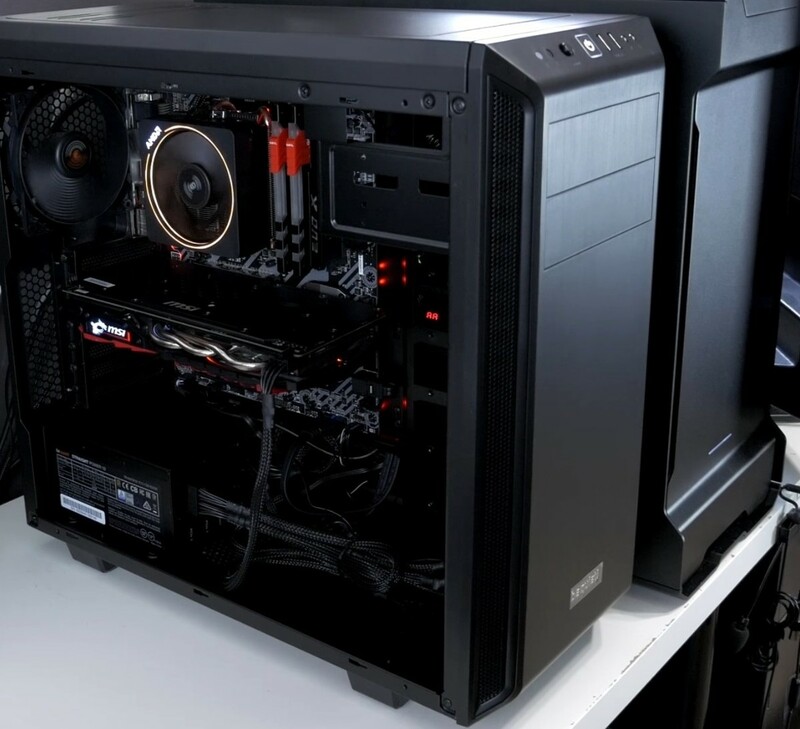 Here's a look at the parts we'd recommend for a custom $500 Gaming PC.